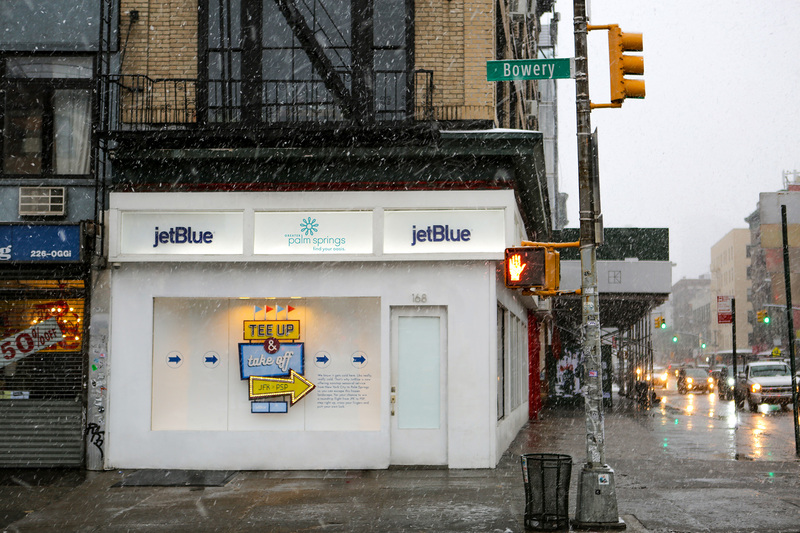 It's been a good week for fun out-of-home brand activations in New York City. 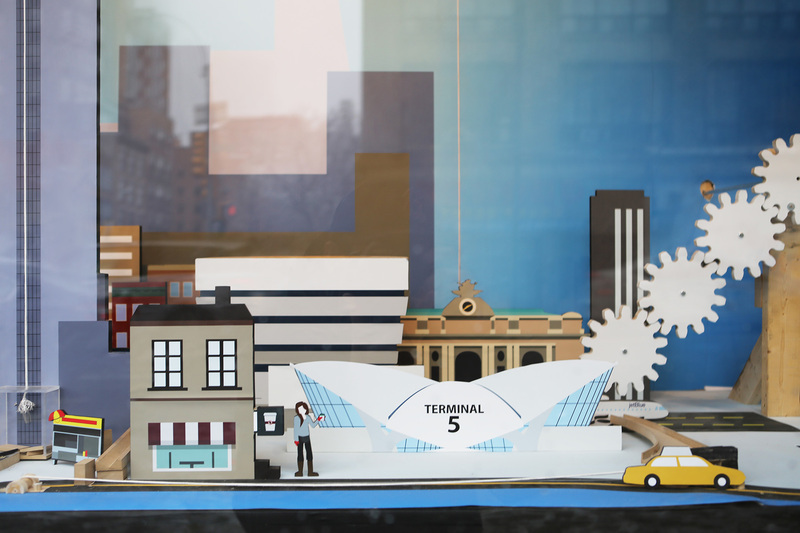 First, we had the Oreo Wonder Vault on 18th Street. 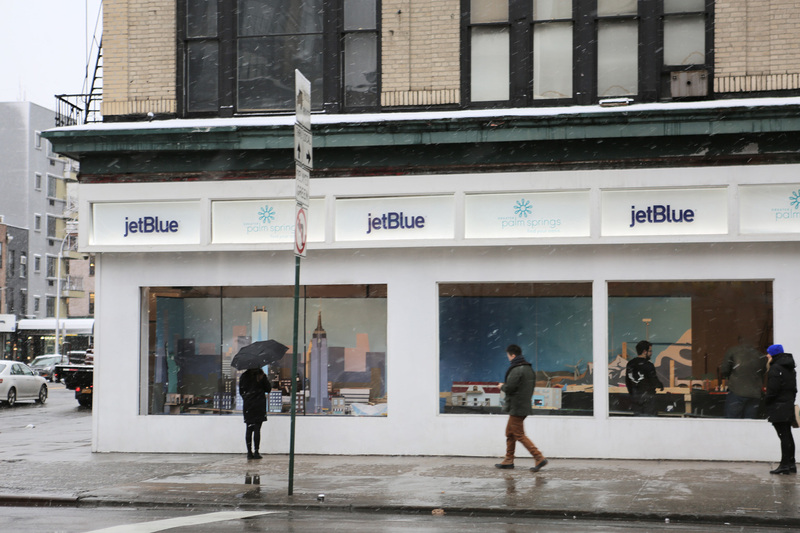 Now, JetBlue is inviting pedestrians on the Lower East Side to check out a big Rube Goldberg machine it just built in a storefront on the corner of Bowery and Kenmare. 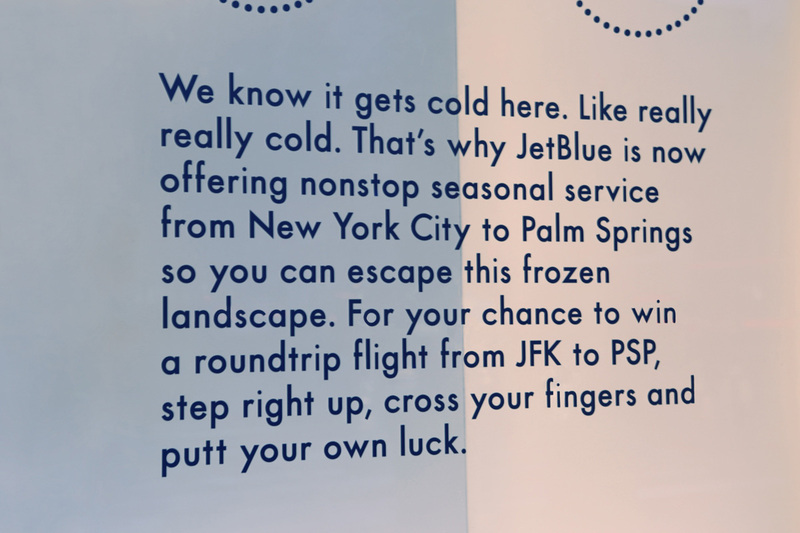 The occasion is the introduction of JetBlue's new direct flights from JFK to Palm Springs. 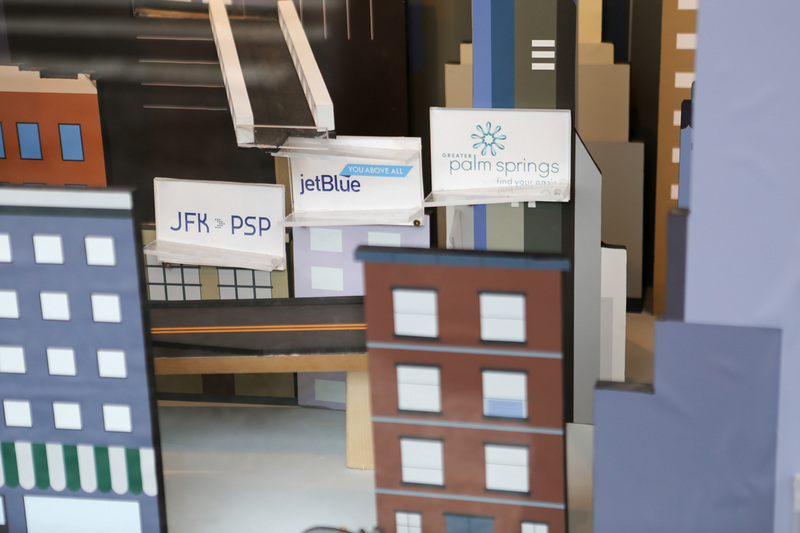 The "Tee Up and Take Off" installation invites passersby to putt a golf ball (golfing being an easier pastime to enjoy in Palm Springs than in NYC proper) from the sidewalk into the storefront—where it travels through a 25-foot Rube Goldberg contraption, with scenes representing NYC through a JetBlue flight and into Palm Springs scenes. 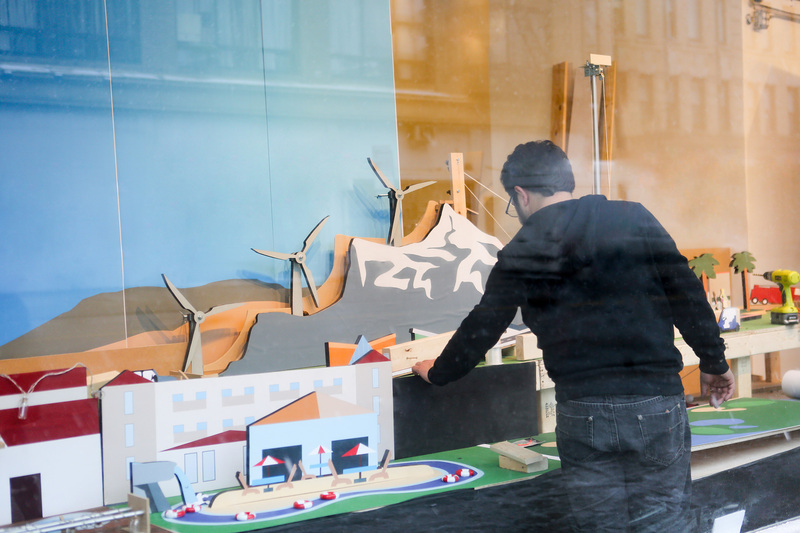 The installation, built by MullenLowe, will be live from 5 p.m. through 10 p.m. Friday and from 10 a.m. to 6 p.m. on Saturday. It was meant to go live Friday morning, but got delayed by pretty heavy snow in the city—but that fits right into the message, too. 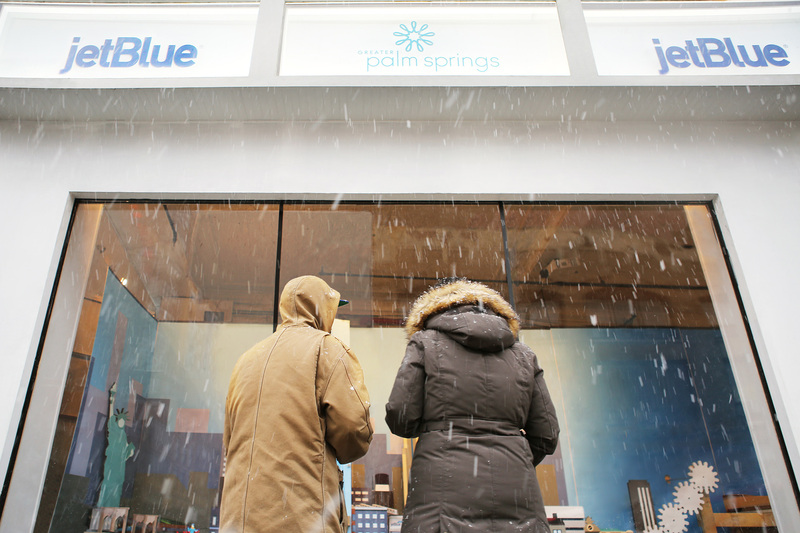 Leave this awful weather behind and get to Palm Springs today! Project: "Tee Up and Take Off"